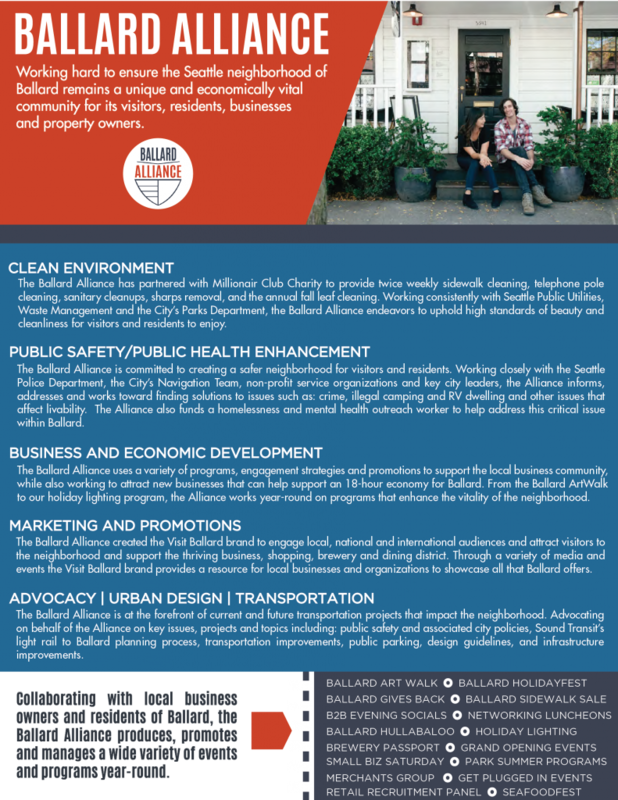 The mission of the Ballard Alliance is to ensure the Seattle neighborhood of Ballard remains a unique and economically vital community for its visitors, residents, businesses and property owners. Under the guidance of its Board of Directors and the Rate-Payer Advisory Board, the Ballard Alliance administers all the projects and programs within the Ballard Improvement Area. Additionally, our staff and Board of Directors members are involved in a number of Advisory Boards and steering committees that are focused on transportation, public safety and other issues. The Ballard Alliance is partnering with stakeholders in the Ballard community to create a safe play area in the Ballard Commons Park. The project is in the initial planning stages. Please check back for more details or subscribe to our bi-weekly newsletter to stay informed of the latest developments.